We understand that this is a very stressful time for you and the information can be overwhelming, but selecting a post-acute provider is a critically important decision. The clinical team can significantly impact the success of your treatment. Choose a clinical team with a demonstrated track record of success and a proven commitment to clinical excellence. After all, isn’t your goal to successfully return home and back to a meaningful lifestyle? Be prepared with the right questions to ask when selecting a post-hospital provider. Our data focuses on getting you home. 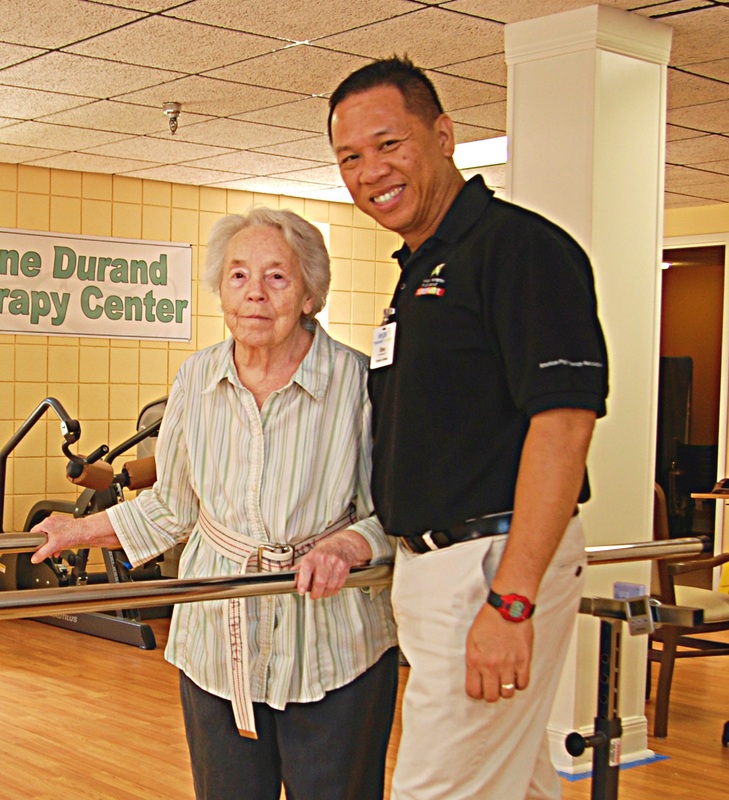 Evidence of our post-acute rehabilitation success is shown in our outcomes. Let us help you get back your full potential! Post-hospital or post-acute care is designed to improve your transition back to the community or a lower level of care. As a post-acute patient, you no longer need the acute care setting of the hospital which includes around-the-clock physicians, surgery, emergency and ICU services, but still need a high level of clinical and rehabilitation care to hasten your recuperation. This may include skilled nursing, rehabilitation, dietary management, social services and discharge planning. All care is directed by your physician, and our team will be in regular contact with you, your family and your physician(s). With a focus on short-term rehabilitation, most patients are discharged home within four to six weeks. For those needing a little more time or who choose to stay a little longer to get a little stronger, we have intermediate- and long-term care services at times, depending on the demand for these services. We are here to help, so please feel free to ask any member of our team for assistance at any time. Our healthy living tips provide additional information for a healthy lifestyle. We are Medicare-certified for post-hospital or post-acute care. In addition, we accept some, but not all, Medicare replacement plans, most managed care and commercial insurance, as well as private payment. We also accept Medicaid. We pride ourselves in providing an exceptional level of therapeutic care. If you have any questions concerning therapy services at Hillcrest, please contact the Director of Rehabilitation or the individual therapist. When a resident is returning home, we work to assist in overcoming obstacles in the home environment. We teach each resident and family member stair negotiation, transfer techniques, ambulation skills, and address any special circumstances involved in returning home. The purpose of the training provided is to help the resident become as independent as possible. Home Evaluation – As part of the discharge planning process, The Occupational Therapist conducts a home evaluation including equipment recommendations which will help the resident maintain maximum independence in the home environment. A Licensed Speech Pathologist provides speech, language and swallowing services. The Speech Pathologist evaluates the resident referred by the physician and develops a rehabilitation plan. The plan defines the type and frequency of therapy required to maximize the resident’s recovery. Your job is living life to the fullest. Here at Hillcrest our job is helping you do just that. What is the primary job description of our personal assistants? To provide what you need, when you need it. We do our best to provide you with exceptional care. The move from Institutionalized care, to Personalized care! We care about the quality of life! you’ll find yourself surrounded by those who desire to do what they can to meet those needs and make your life more comfortable!